Girls Bouncy Castle for Hire in Hereford and Surrounding Areas, Our Girls Bouncy Castles include Frozen, Hello Kitty and Party. 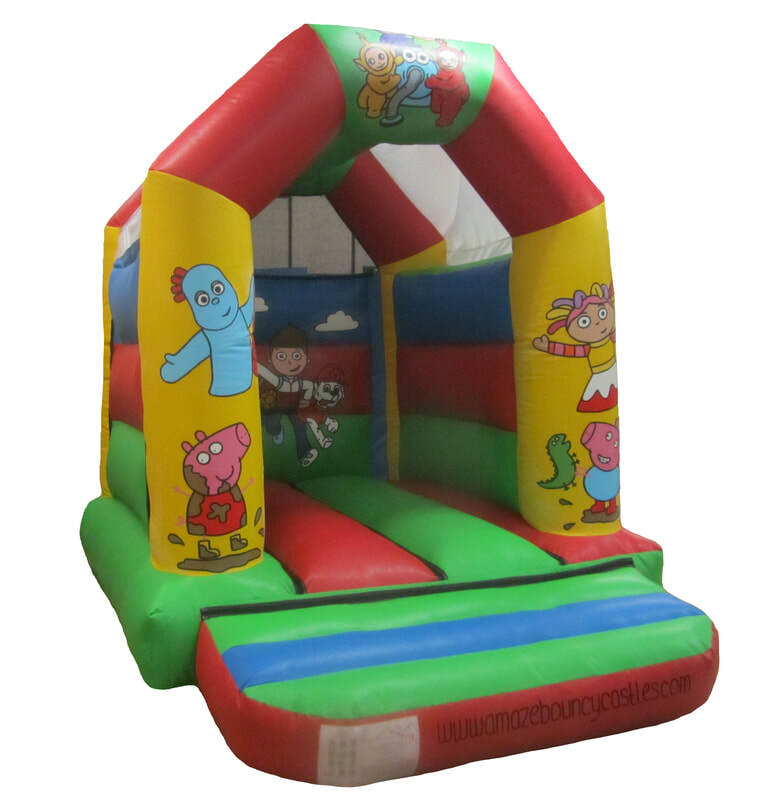 - Hereford Castle Hire | The Cheapest Bouncy Castle Hire in Hereford. Our New LEGO Super Hero's bouncy castle is already proving a huge hit with children of all ages, We are the only bouncy castle company in Herefordshire and beyond with a LEGO Bouncy Castle! This bouncy castle measures 15ft x 11ft. Suitable for indoor and outdoor use. Suitable for Children Only aged 3 - 11. 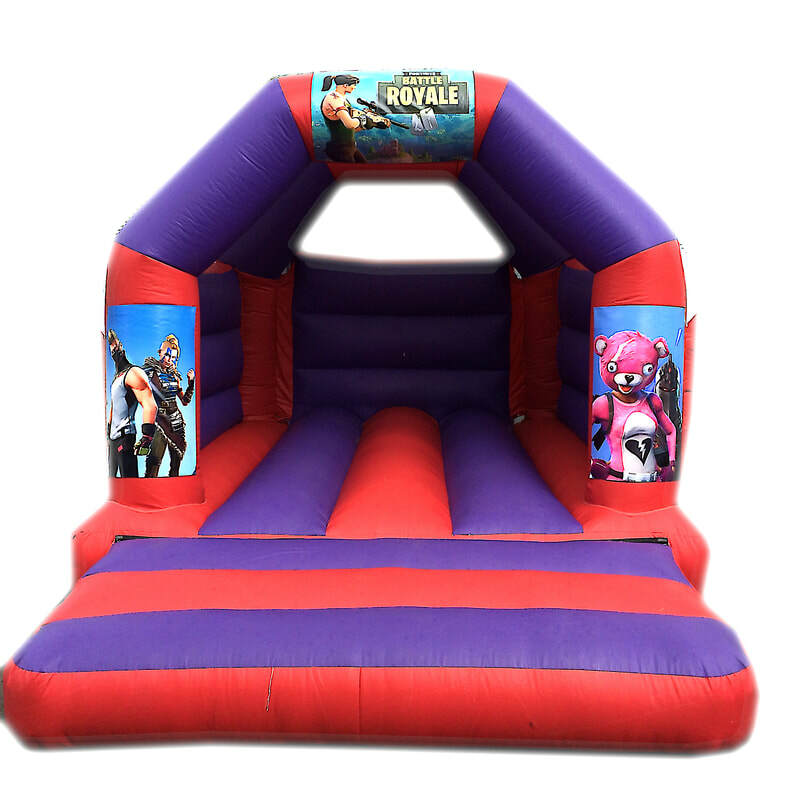 ​​The country has gone fortnite crazy and we have the only Fortnite Battle Royale Bouncy Castle in Herefordshire and beyond. This amazing castle has the latest 'skins'. artwork that will have your child's friends looking on in awe ! ​This bouncy castle measures 15ft x 11ft. Suitable for indoor and outdoor use. Suitable for Children Only aged 3 - 10. FREE Delivery and Collection (terms apply). 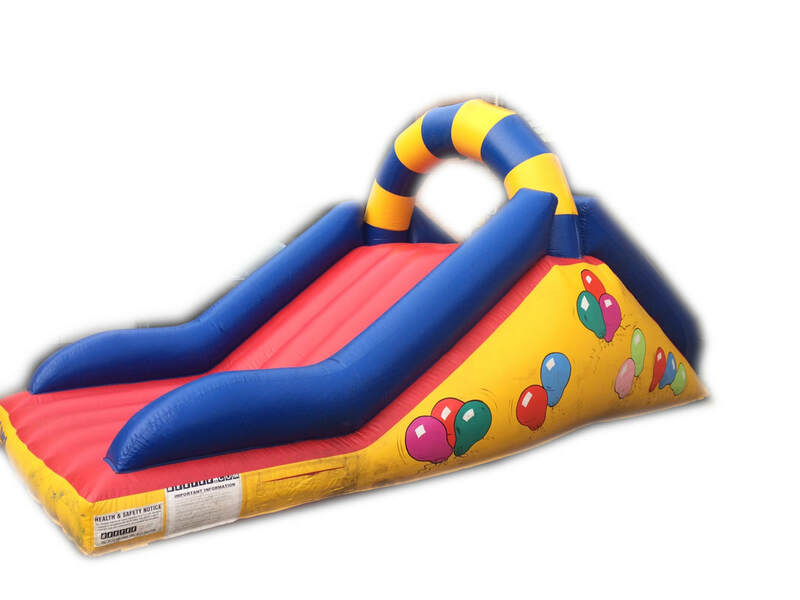 Our 'Climb and Slide' Bouncy Castle Slide is a perfect size to fit a range of gardens, this slide will keep your kids entertained and amused all day long! A great alternative to the 'normal' bouncy castles. Please call 01432 233101 to Book or use our 'Contact Us' Page. We will reply within 12 hours. Our 'Cbeebies' ' Themed bouncy castle is a perfect addition to any clowns fan party. 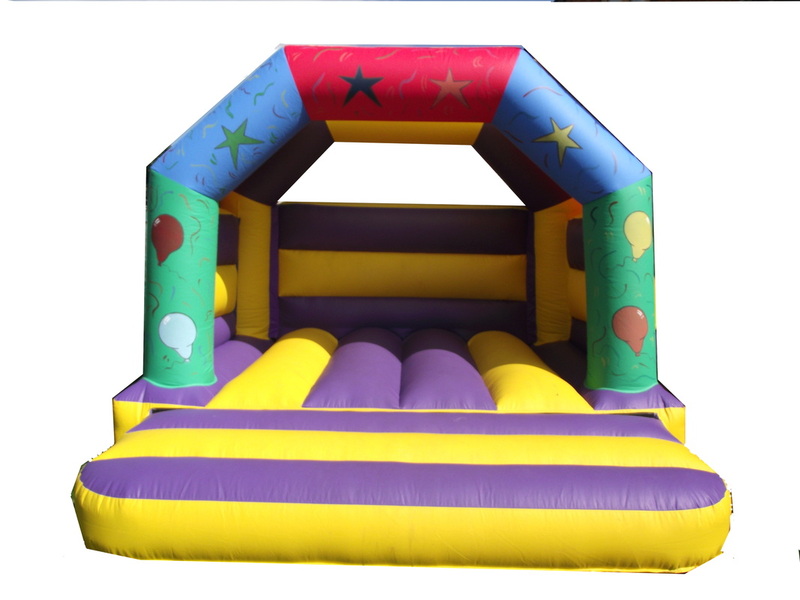 This bouncy castle measures 11ft x 8ft Height 10ft, the size of this castle makes it ideal for small gardens Suitable for indoor and outdoor use. Suitable for Children Only aged 1-13. 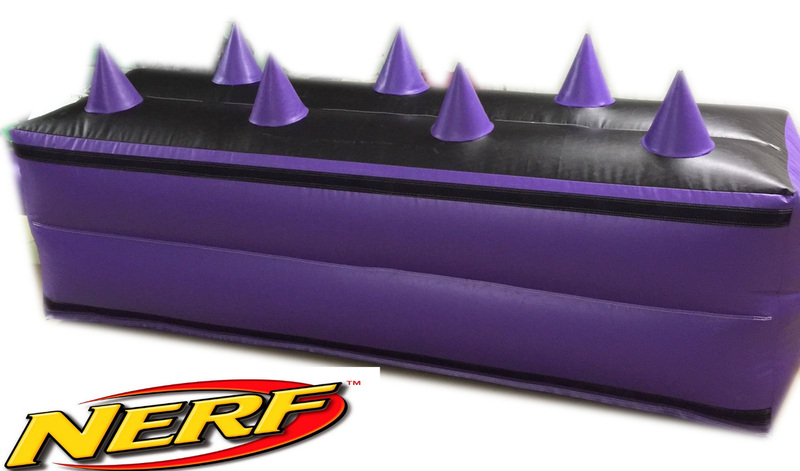 A new and exciting Nerf 7 ball shooting range, test your shooting skills using our two Nerf guns provided. Each Air Juggler releases compressed air that enables a lightweight ball to 'float' in mid air. Each player takes it in turns to shoot at the floating balls with our Nerf guns and soft bullets. *Our 'Little Princess' theme bouncy castle is perfect for any occasion indoors and outdoors. This bouncy castle measures 15t x 11ft. Suitable for indoor and outdoor use. Suitable for Children Only. Please call 01432 233101 to order or use our 'Contact Us' page. We will reply within 12 hours. 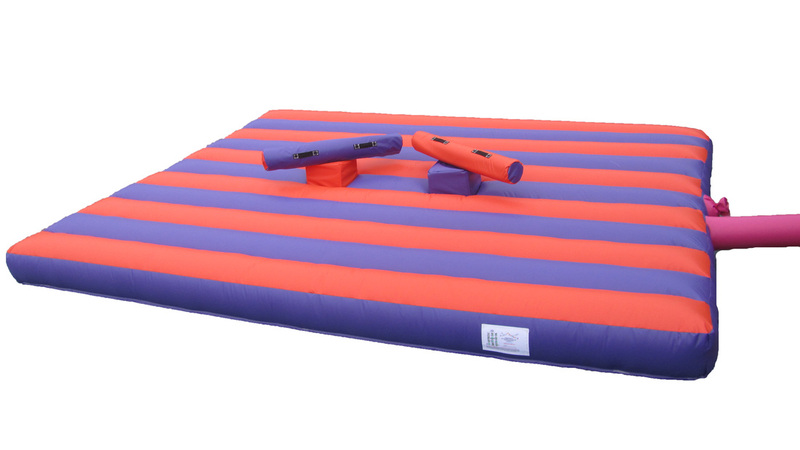 A fantastic game to improve coordination and skill is our two player Air Juggler Skill Inflatable Game. Each Player is given 15 lightweight balls and using the air releasing spouts must pass the balls from one to the next without touching the ball. 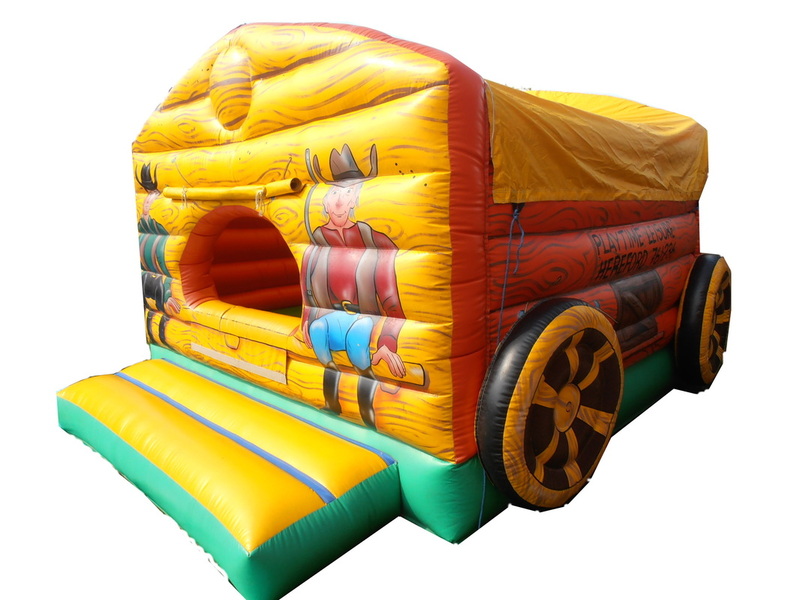 *Our 'Cowboys Wagon' theme bouncy castle is perfect for any occasion indoors and outdoors. This enclosed castle is perfect for toddlers to prevent them falling out. This bouncy castle measures 15t x 10ft. Suitable for indoor and outdoor use. Suitable for Children aged 1 - 7 years. Challenge your friends and family to this all time favourite. 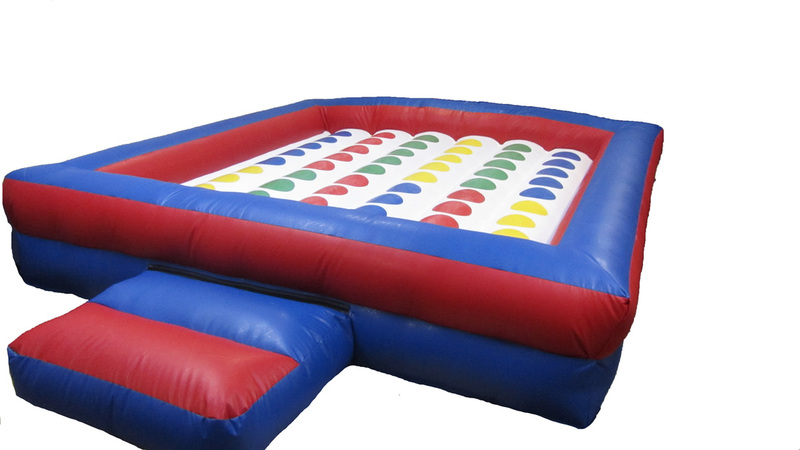 Our 12ft x 12ft Giant Twister will keep adults and children amused for hours all in a safe environment. Suitable for all ages. 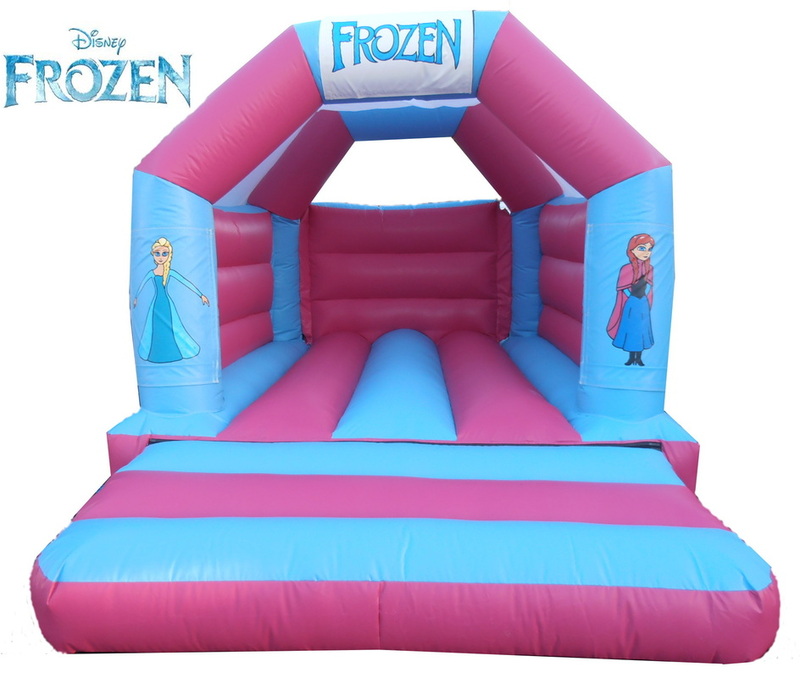 *Our Frozen theme bouncy castle is perfect for any occasion. This bouncy castle measures 15t x 11ft. Suitable for indoor and outdoor use. Suitable for Children Only. Pit your gladiator skills against your friends and family with our two player Gladiator Duel. 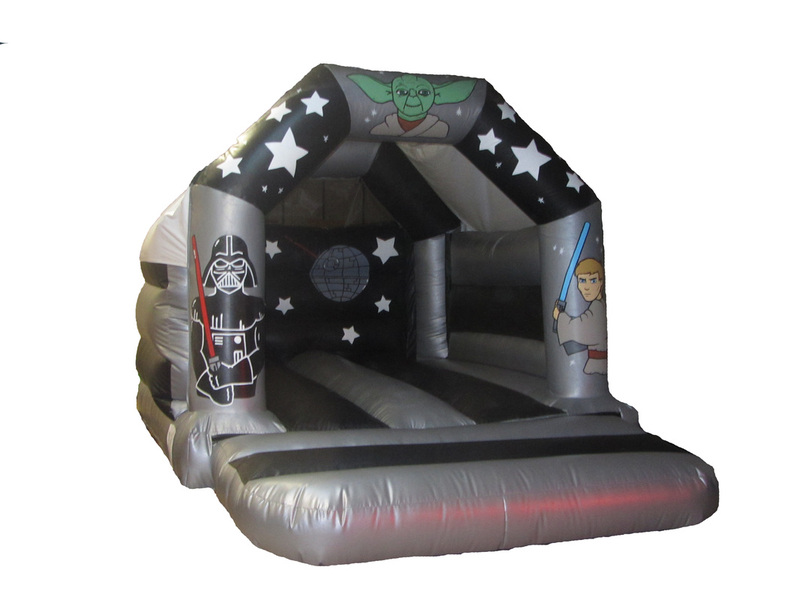 ​Our 'Star Wars' Themed bouncy castle is a perfect addition to any star wars fans party. This bouncy castle measures 15ft x 11ft. Suitable for indoor and outdoor use. Suitable for Children Only aged 3 - 10. 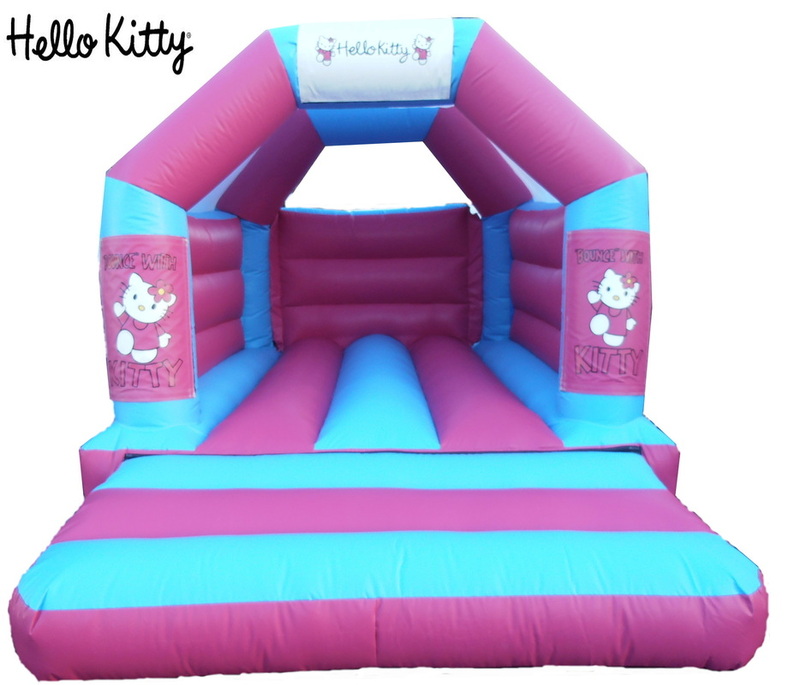 *Our Hello Kitty theme bouncy castle is perfect for any occasion indoors and outdoors. This bouncy castle measures 15t x 11ft. Suitable for indoor and outdoor use. Suitable for Children Only. *Our Birthday party theme bouncy castle is perfect for any occasion. This bouncy castle measures 12ft x 12ft (Including Front Mounting Bed). Suitable for indoor and outdoor use. 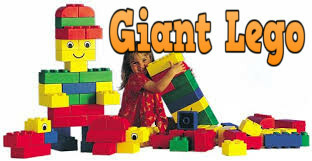 Suitable for Children Only aged 3 - 12.
order or our 'Contact Us' Page. We will reply within 12 hours.